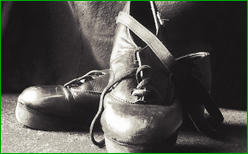 The Irish Heritage Club of Sudbury offers a full range of dance classes for youth. We host weekly lessons which include a portion of Irish Dancing and an element of Irish culture. For additional information regarding registration please email us at irishdancesudbury@gmail.com. Also, in May 2015, and for the first time in our Club’s history, we are proud to announce that our Intermediate and Senior Irish Dancers will be competing in a FEIS in Belwood Ontario. There, they will compete against other Irish Dancers from all over Ontario. Our Intermediates are going to compete at the novice level in the soft shoe category, and our Seniors will be competing in both soft and hard shoes, at varying levels. We wish our Irish Dancers the best of luck! But first, we want to extend a massive note of gratitude to Amanda Daigle, Charlotte Stone, Pam Colasimone, and all of the parents of our Irish Dancers. Your dedication, and the time you have and will spend with the Irish Dancers, is truly appreciated. All members of our Club are proud that we are represented by such a skilled group of young ladies and gent, around the city of Sudbury.